There are many legal notices, student rights, regulations, and laws that affect students in the Great Basin College (GBC) community. View these policies (Policies can be found in the current GBC Course Catalog). GBC is a System institution of the Nevada System of Higher Education (NSHE) and encourages all students to pursue academic studies and other college sponsored activities that promote intellectual growth and personal development. Students are responsible for complying with NSHE and other college guidelines and meeting the appropriate college requirements. In joining the academic community, the student enjoys the right of freedom to learn and shares responsibility in exercising that freedom. Student Right-to-Know The Student Assistance General Provisions of Public Law 101-542 requires all institutions that participate in student financial assistance programs as authorized by Title IV of the Higher Education Act of 1965 and Higher Education Technical Amendments of 1991, Public Law 102-26, to disclose the graduation rate and/or persistence rate of all full-time, degree-seeking or certificate-seeking undergraduate students. This information is available at the GBC Admissions and Records Office on the Elko Campus. As of 2016-2017, the four-year average Student-Right-to-Know graduation rate was 33 percent and the transfer out rate is 10 percent. Visit the GBC IPEDS link http://www.gbcnv.edu/IR/IPEDS.html for more information and updated Statistics. Graduation rates are based on attendance that equates to 150 percent of the degree or certificate program. Graduation rates do not include students who left the school to serve in the armed forces, or official church missions, or in the foreign services of the federal government. Students who died or were totally permanently disabled are also excluded. Receive automatic fulfillment of lower-division general education requirements at the universities, state college, and community colleges that offer select baccalaureate degrees upon completion of an Associate of Arts, Associate of Science, or an Associate of Business degree from an NSHE community college. Access information from the community colleges, state college, and universities about their transfer admission requirements, including documents required for admission, housing, and information about the institution’s costs, financial aid, and student services. Access information about the transfer of specific courses, credit hours, grades, and degree requirements. This includes information about transferring courses with grades below a “C,” courses students may have repeated, and credit previously granted by examination. Acceptance by the community colleges (limited access programs only), state college, and the universities. Evaluation of courses and credits accepted for transfer credit and their course equivalencies, if applicable. Outline of transfer courses and requirements which the transferred courses or credits will satisfy for the degree or program sought. Analysis of the number of semester credits required to complete a degree in the chosen major program of study. The NSHE institution’s appeals process for transfer-related decisions. Appeal any NSHE institution’s transfer-related decision. The appeal process will be developed and maintained by each NSHE institution and published on the institutions’ website. The course catalog of the year of enrollment in a baccalaureate level course/program at an NSHE community college (valid transfer contract may be required). The course catalog of the year of transfer into a baccalaureate level program at the universities, state college, or community colleges that offer select baccalaureate degrees. The course catalog of the year of graduation from an NSHE institution. Warning: Changing majors may result in a change to the course catalog and graduation requirements. 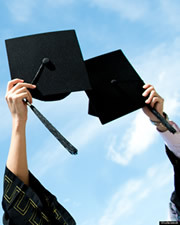 As a result, the time required for degree completion may increase. Notice: Students have all the above rights and any others as summarized in the Summary of Board of Regents Transfer Policies. The summary can be accessed at the NSHE website. Paper copies of this document are available upon request at the institution’s admission office. Understand the transfer policies and procedures of the institution they are considering for transfer. Students should seek information from the institution they are transferring to regarding: core curriculum, prerequisites, major program requirements, degree requirements, admissions, financial aid, scholarships, housing, deadlines, restrictions, and other transfer-related criteria. Complete all materials required for application and submit the application on or before the published deadlines. Research how courses are applicable to degree and major requirements. Understand that if they change their major, not all courses taken will necessarily apply to their new major. Plan ahead and realize that appointments with advisers are necessary. Understand that after a break in their enrollment, status as an admitted student may be affected. Make transfer-related policies and procedures available on their websites. Make answers to frequently asked questions about transfer issues accessible for students and provide opportunities for appropriate follow-up appointments to students. Provide information on the approximate costs of attending the institution, including tuition, books and supplies, housing, and other related fees. Relay admission and transfer-related decisions to students in writing (electronic or paper), including information about the student’s appeal rights. Establish and make available upon request internal appeals processes to review transfer-related issues and decisions. Engage in continuous, authentic dialogue among NSHE institutions about transfer-related issues with the purpose of solving the challenges before they negatively impact students. 15 to Finish ~ Earn your degree on time: Complete 15 credits a semester or take 12 credits a semester plus six credits in mini term or summer or get a jumpstart on your college education by taking college courses in high school. Civility - have respect for others: students, faculty, staff, and the campus community. Be respectful, polite, and considerate in any classroom, live or digital. Active - embrace the active process of learning. To maintain a class environment that is conducive to learning: Be diligent, engaged, and committed. Responsibilities - you are accountable for your actions, work, words, and behavior. Courteous behavior and responses are expected: Be honorable, conscientious, truthful, and dependable. Excellence - in the classroom, optimizes an atmosphere of teaching and learning. Classroom discussion is meant for everyone’s viewpoint to be expressed on the topic at hand. All students should be afforded the courtesy and opportunity to be heard: Be exceptional. Success - successful college students embrace all of the educational experience and welcome diversity and different ideas. Embrace challenges. At GBC, students are expected to assist in maintaining a class environment that is conducive to learning. It is required that students conduct themselves in a manner that does not disrupt the teaching or learning atmosphere. All classroom participants have the responsibility to maintain classroom discussions that are civil and not disruptive by being courteous and using respectful language. This courteous, behavior continues on beyond the classroom to any online class discussion site or WebCampus course or Interactive Video (IAV). Be an engaged learner and encourage your fellow students to do so as well.